There are a myriad of excellent pubs in Harborne, many of which have been highly praised on this site. 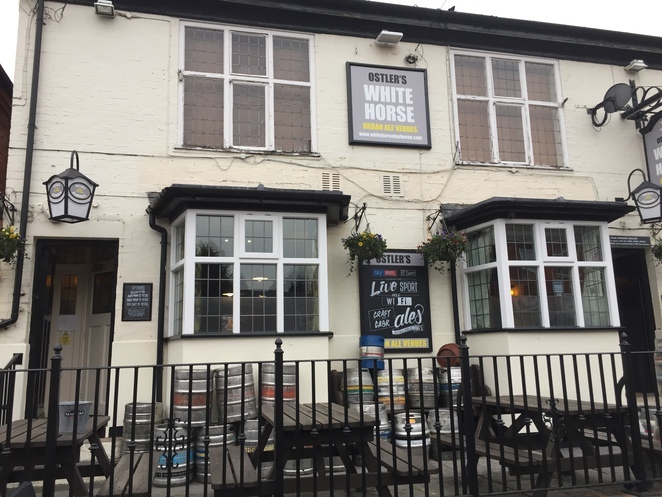 However, located just off Harborne high street, next door to the Boston Tea Party, is the White Horse, a hidden gem on the Birmingham pub scene. The White Horse is a typical locals' pub with a country atmosphere and a traditional feel. An intimate place, the bar is located in the centre making the pub revolve around a hive of activity. The pub also offers a small beer garden and quieter lounge area meaning it caters to a wide range of people. The intimacy of the pub creates a great atmosphere for sporting events, but this also means it can get quite overcrowded so if you're going to watch the footy make sure you get there earlier if you want to grab a seat. There is also a very popular pub quiz on Tuesdays at 10pm. Unfortunately, my team has yet to come close to winning on the occasions we have participated but it is good fun all the same. Every Friday and Saturday night from 9:30pm, the White Horse hosts live music from local bands. A full line-up of upcoming bands can be seen here. This is a great opportunity to hear and support local artists performing a mix of covers and original music. However, unlike some pubs with live music, it's not all encompassing. As when sitting in the lounge area the music can still be enjoyed but at a volume where a conversation can still be maintained. The bands always draw a decent crowd and the atmosphere makes a great start to the weekend whether it's a couple of drinks before a big night out or just a chilled couple of pints. Beyond this, there are two unique features of the White Horse which make it stand out from the other pubs in the vicinity. The first is the beer board which displays both cask and craft ales. The board changes so regularly that instead of being printed or written, they are displayed on a computer screen above the bar. An up-to-date copy of their online beer board can also be seen here, should you wish to check out the wide variety on offer. There is always something new and interesting to try, I particularly like the ciders from Lilley's Brewery. If this isn't for you there are also the typical range of alcoholic drinks, soft drinks and bar snacks available, so there's something for everyone to enjoy. 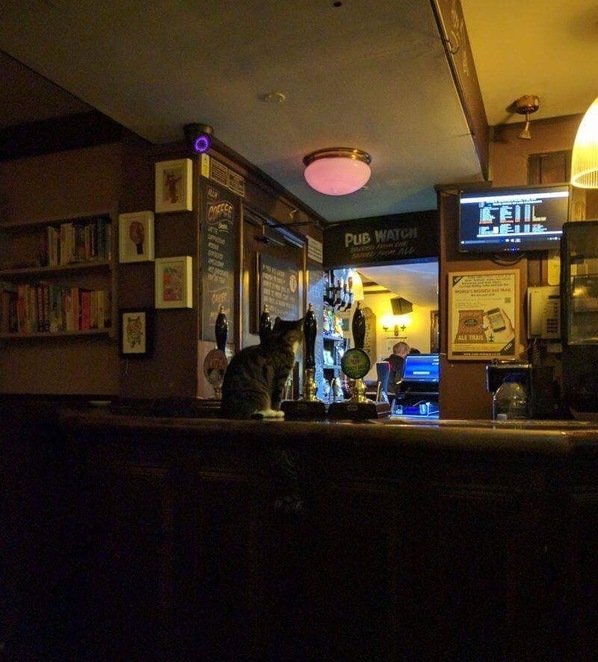 A pint and a pub cat, please. 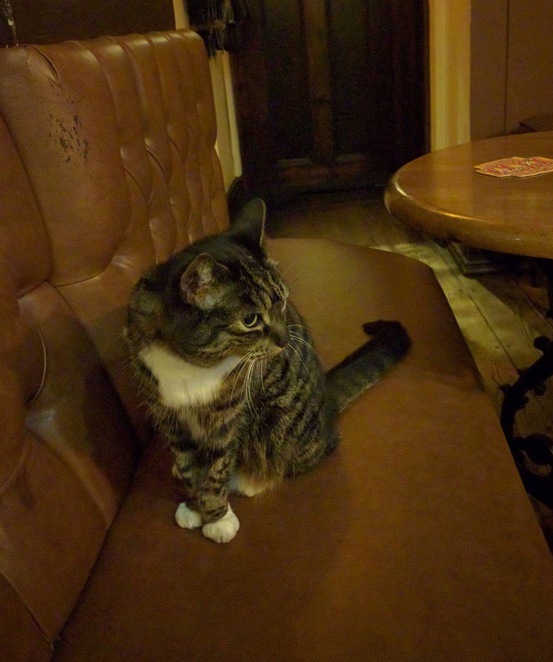 The second unique feature of this pub is the reason why this pub is probably my favourite in Birmingham and that is Sox, the resident pub cat. Often keeping to the quieter lounge area on the busier weekends, she is adorable and extremely friendly. Several nights she has settled down on my lap while I've enjoyed a drink, something I think only adds to the experience. She also has a propensity to makes beds in people's abandoned coats with many regulars putting their coats in a ready-made bed shape to invite her. However, she's quite respectful and will leave you alone unless you coax her over: a relief to those who aren't the biggest cat-people. The White Horse is a delightfully, quaint pub. A little different to the others in Harborne with its small size, locals atmosphere, live music and cat. But it's a lovely place for a drink at the end of the week. Sounds like a great pub to visit, especially as lots of beers and a cat!